Mac Repair Glasgow | What is Apple's Mobile Me? DO I need It? Apple is the most advanced company that is producing the latest technology that is a must have for everyone. Along with great technological products there needs to be a better customer service, or a how to guide on how to use the products that you have just purchased. With the Apple company and their products Mobile Me is that extra special customer service, and that how to guide. If you are wondering what Mobile Me is it is a feature that is a must for a new owner of an apple product. Mobile Me is an Apple product that is produced by Apple to help put your many products that are available on your device. It will bring them all together as one. Mobile Me will synchronize your personal, and your work emails together. It will help to also bring in your contacts, and even your different calender events. If you have a Mac computer, a Pc at your work office, and an iPad, or an iPhone the Mobile Me software will store all your information, your emails, your calenders, and all your email accounts in the cloud. 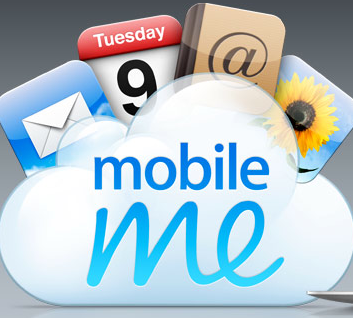 Mobile Me will automatically sync your information to every one of your Apple devices. If you have lost one of your Apple products such as your iPhone or your iPad, Mobile Me will help you to find your Apple product on there online website. They also have the capability to remotely wipe their Apple products clean so that you can protect your privacy. Another feature that is available with Mobile Me is called iDisk. This program allows you to make a web gallery of all your different photos that you have, and it gives you the capability to share all your photos with a simple few clicks of the mouse or keypad. Once you first recieve the Mobile Me software you will recieve a free sixty day trial for your products, and it is only £65 a year after the trial runs out. Mobile Me is a great piece of software that will allow you to synchronize all your information no matter what Apple product that you are on. Apple’s Mobile Me is an advancement in synchronizing technology, and it will allow you to be synchronized with all your mobile devices like the iPhone, iPod, and iPad.